2/19 UPDATE: The City of Harrisonburg passed the proposed regulations without any modifications. Want to read the City of Harrisonburg’s full permit proposal? It is on the City of Harrisonburg Council Agenda for 2/12 and can be found online by CLICKING HERE. The proposed permit is found on 7.b. While we have a number of concerns outlined below, in a broad sense, we are concerned with equity and the danger this process effectively discouraging a private company from establishing dockless bike share in Harrisonburg. We are asking the Harrisonburg City Council to table the Shared Mobility Device permit to allow further time for community input and deliberation. Dockless micro-mobility systems or Shared Mobility is the future. We may not yet know exactly what it will look like and we know it needs to be regulated but we are cautiously optimistic. The City of Harrisonburg is poised to vote on a permitting process for Shared Mobility Devices (SMD) at their council meeting on 2/12. The Shenandoah Valley Bicycle Coalition has reservations with the permitting process as proposed. We do support the amendments to the City Code that council approved in December as a prudent and necessary step to treat scooters like bicycles rather than create a new transportation category. See more on these sensible amendments. Provide additional and equitable transportation options for everyone. Provide a potential source of revenue for walking and bicycling infrastructure projects. 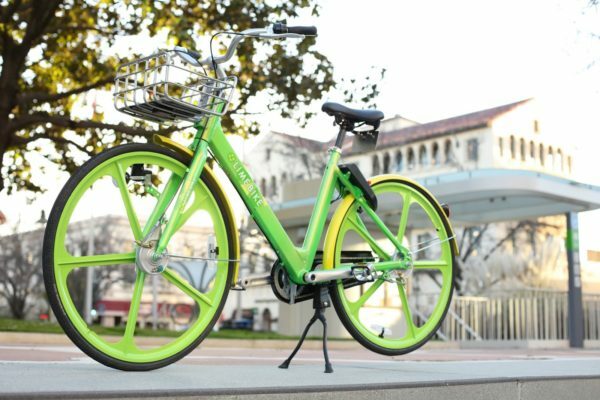 Harness the power of dockless technology to reach previously underserved and or low-income communities with a comprehensive push for transportation equity. Reduce car trips to and from James Madison University. Fleet size: proposed permit requirements are too strict specifically in the total fleet number and also in the number of required trips per day. This stands to potentially regulate the companies out of the City. Rides per day Requirement: We ask that the city reconsider the rides per day requirement and let the market decide whether it is profitable for companies to maintain fleet size in the face of minimal rides per day. The real problem is not the total number of devices but location and placement with staging areas becoming overcrowded and too many devices in one area. Fleet size + Rides per Day Requirements force dockless systems to consolidate in busy areas such as our downtown business district and discourage companies from staging devices in underserved areas of our city that need and deserve access to more transportation options. Scooters versus bicycles: The City did not make a distinction between scooters and bicycles in the SMDs permit process. Bicycles are much more familiar and a historically accepted form of transportation. Lumping together dockless bikes and scooters further complicate this permit. Consider an increase in the total fleet size and consider stipulations that would limit the number of devices that could be staged within the downtown core or other crowded areas. Bikes Fleet size: we as the City follow Charlottesville’s model and not cap the fleet size for dockless bicycles especially those with electric assist. Use at least a portion of collected funds for infrastructure projects that benefit people walking and people biking in Harrisonburg. Funds collected from these companies should go to support infrastructure improvements. i. Permittee will implement a marketing and targeted community outreach plan at its own cost to provide these services and promote the safe use of bicycle sharing and e-scooter sharing, particularly among low-income communities. ii. Permittee will provide a non-credit and non-smartphone mechanism to access its services. iii. Permittee will offer a low-income reduced cost plan that must be approved by the City Manager prior to permit issuance. v. The City reserves the right to propose or designate service areas that will ensure access to a variety of neighborhoods.